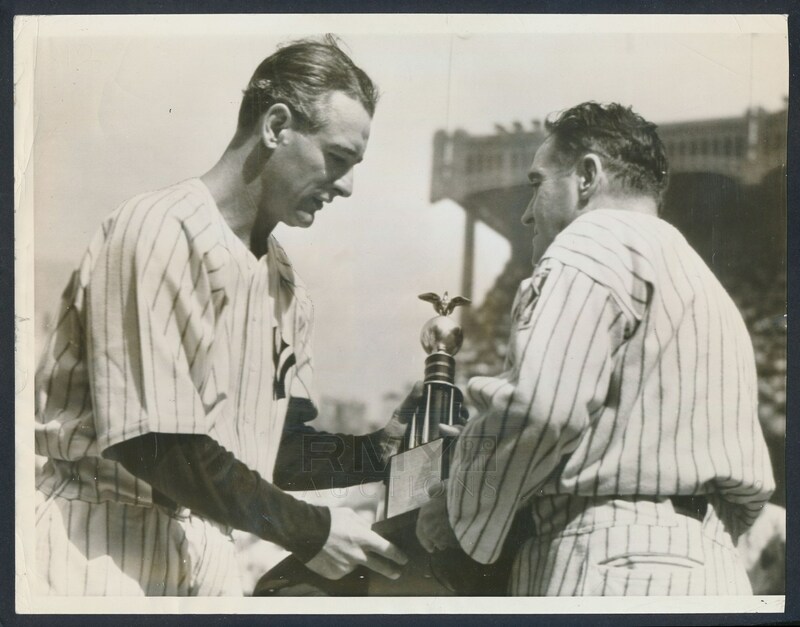 Original 1939 press photo of the great Lou Gehrig receiving the trophy presented to him from his Yankee teammates by manager Joe McCarthy. 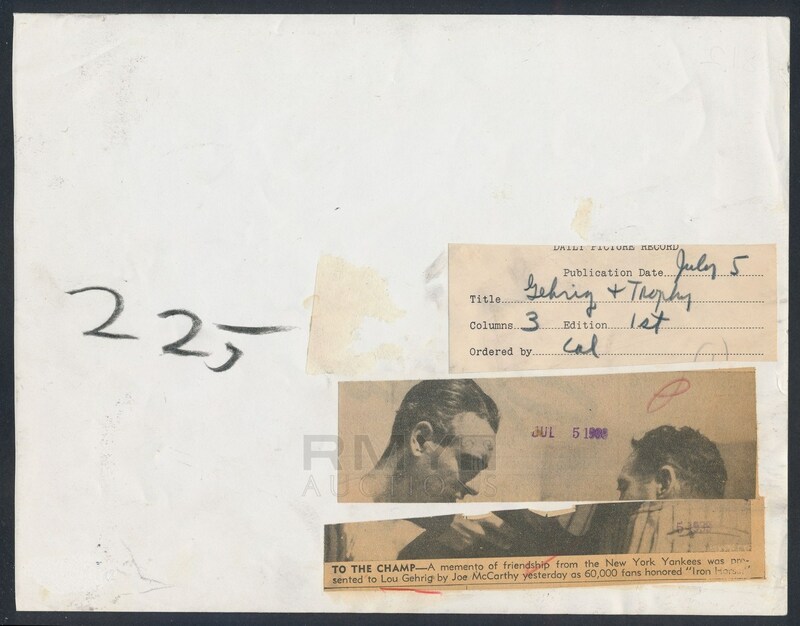 One of the most famous events in baseball history, a tearful Gehrig receives the trophy from McCarthy who likewise looks as if he is fighting back the tears. Teammates in the background look stunned at the events that are happening before them and the somber mood of the entire stadium can be felt through the tremendous quality of the photo. On this day Lou would say goodbye to baseball and give his "Luckiest Man" speech which would live in American history forever. Dated on the back from 1939, this a vintage example and exceptionally clean.